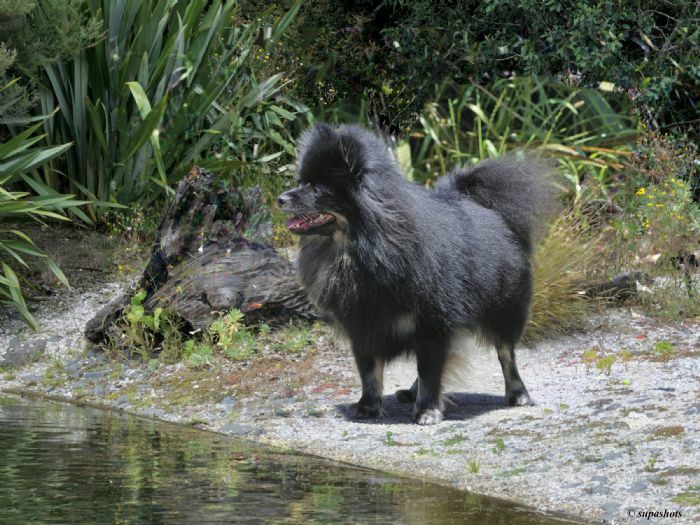 Celine is proud to be the 1st German Spitz Klein to be imported and to obtain championship title into New Zealand Dautchhund Kennels are privileged to be promoting the Klein size here in New Zealand. Celine is a black and tan girl of correct size, lovely head (not domed - is very common in this breed), lovely movement, well placed ears, true characteristics of temperament with plenty of attitude. We look forward to her show career here in New Zealand.